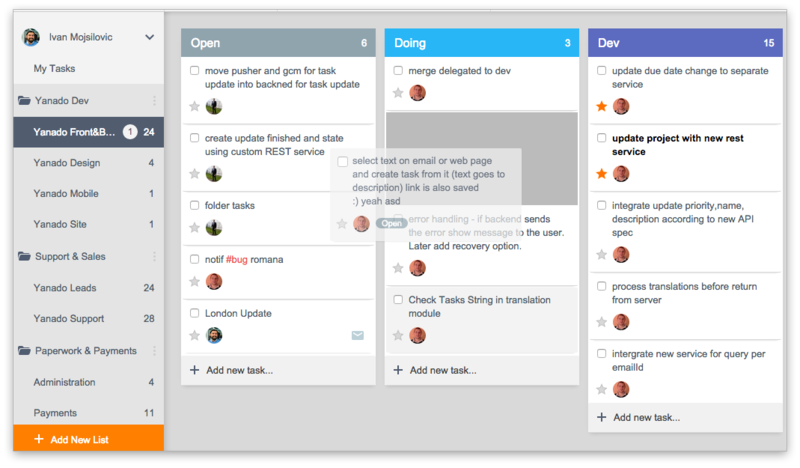 Drag and drop is the easiest way to move tasks around the same list or between different ones. 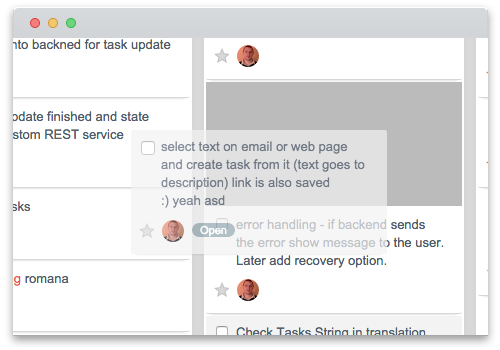 A lot of you requested task sorting feature so here it is! 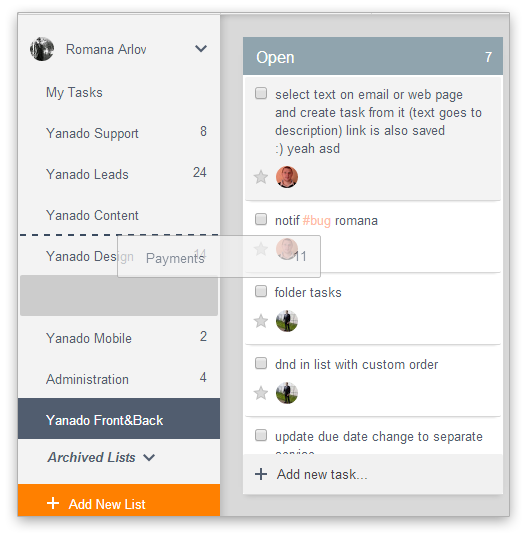 Now you can organize tasks according to priorities and have the most important ones on top of your list. To move task around use the left click on your mouse and hold it until you find a new place for it and then drop it there. 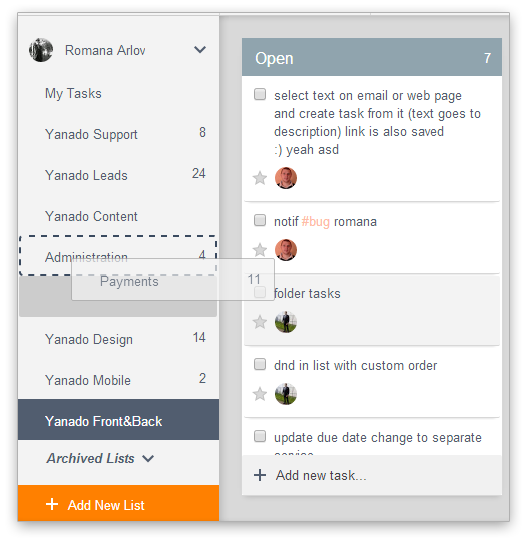 Sorting tasks with drag and drop action is only working if the tasks are grouped by statuses, due dates or users. Folders are a convenient way to organize your work. That’s why we brought them to Yanado! 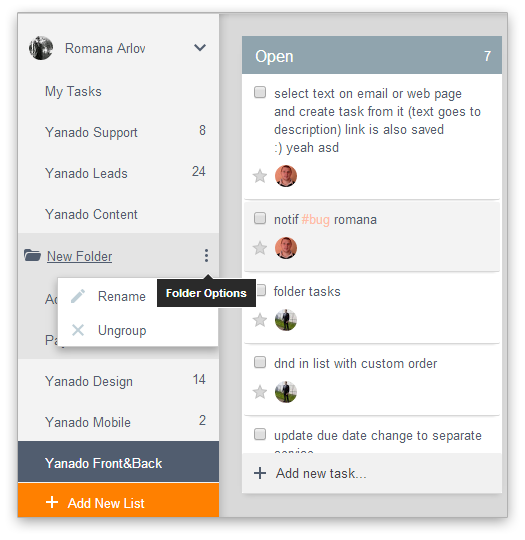 Now you can group similar lists into folders and have them organized according to projects they belong to. With drag and drop action, making a new folder is really simple. Pick two or more lists that you’d like to have in the same folder and then drag and drop one of them into another one. This will create a new folder and let you fill in the name for it. If you’d like to rename your folder click the folder options icon on the right side of its name and pick “Rename” in the dropping menu. If you change your mind or put a list in a folder by mistake, you can just drag and drop it out of the folder at any time. Also, if you want to delete the folder you can either drag and drop all the lists out of it or ungroup the folder by clicking the folder options icon on the right side of its name and pick “Ungroup” from the dropping menu. 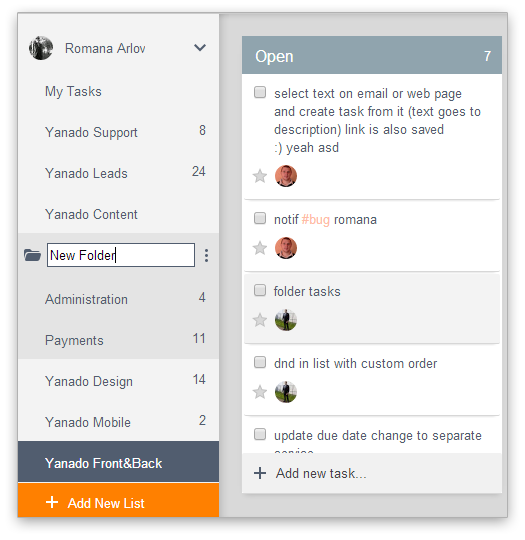 Sorting lists inside the folder is a good way to keep your folders neat and organized and it works by drag and drop action as well. Be sure to check related posts and see what else Yanado has to offer you.